I love to incorporate theme or holiday activities into my speech therapy sessions. Sometimes I struggle with how to maximize my therapy time when I am working on an activity with a client. 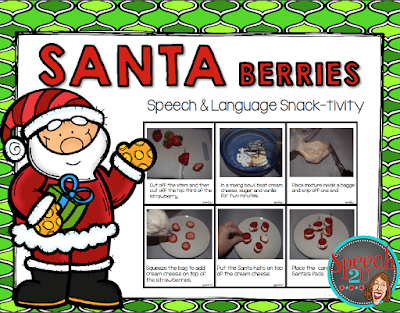 I'm really excited to share my Santa berry product with you! I think you will really like it. Click on the picture to learn more. I hope you love this product as much as I do! I'd love to hear how it went-please comment below with how it went!